The mailbox is officially embossed with “U.S. Mail” and “U.S. Postmaster General Approved” and can be purchased with a stand. Available in Steel or Aluminium. 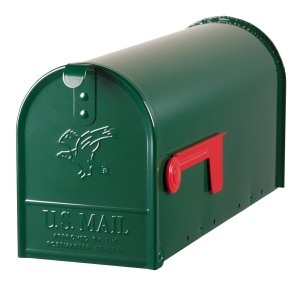 Please Note: The US Mailbox in Black Steel, Green Steel And White Steel are currently out of stock.